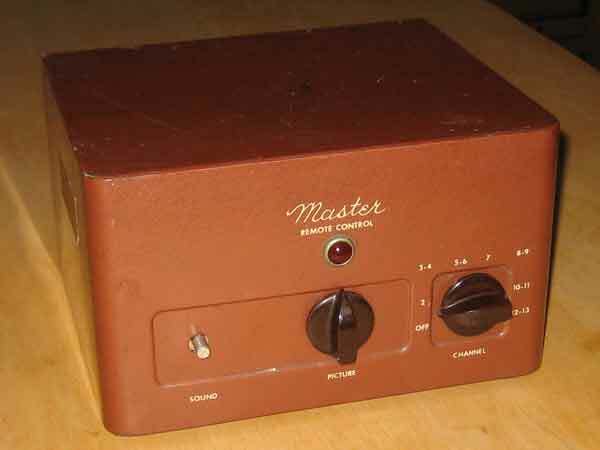 This device, made in the late 40s or early 50s, is a set top converter box. 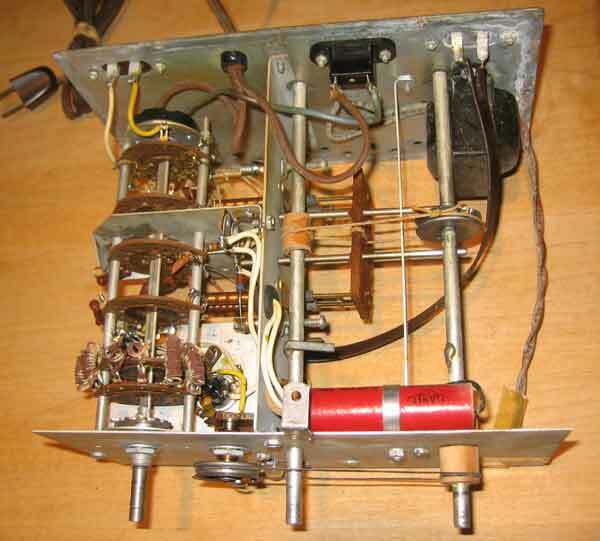 It has 3 tubes - a 6AK5 RF amplifier, tuned with the "Picture" control and the Channel knob; a 6AB4 local oscillator, tuned with the Channel knob and the Sound control, and a 6BC5 mixer. On the back is a sticker, indicating it was approved by the City of Los Angeles Building and Safety department, which would suggest that it was installed in a hotel or apartment building. It was made by Coastwise Electronics Company in Los Angeles. The output is on channel 6. However, the output channel would be inverted, with the sound carrier below the visual carrier. The Picture knob peaks the RF amplifier to the desired channel. The Sound knob adjusts the local oscillator frequency over about a 10 mHz range. The master control enables tv viewers to change their sets from one channel to another, as well as adjust sound and picture, without having to get up and go to the set itself. 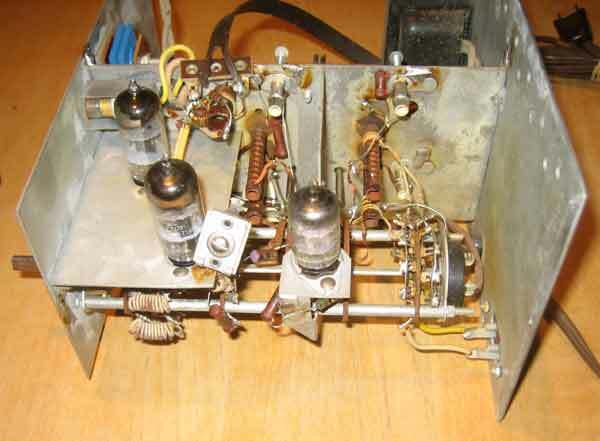 Model 501-D operates only with Intercarrier sets such as GE, Zenith, Motorola, Hallicrafters, Admiral, Stewart-Warner, Teletone, Kaye Halbert, Capehart-Stromberg-Carlson, and certain Philco, Hoffman, and Packard Bell Receivers. Channel 6 on the TV must be aligned, at around 85 MC, for the Master Remote Control is 85 MC. Disconnect TV antenna, and hook up Master Remote Control terminals to ANT terminals. Connect desired length antenna ribbon between antenna posts on TV set and to rear of Master Remote Control. Turn TV to channel 6. Set the channel knob on Master Remote Control to weakest high band in area 7, 9, 11, or 13. Turn picture knob on Master Remote till best picture is acheived. Turn sound control to desired level.